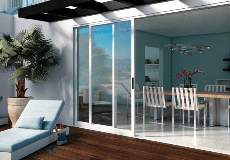 ELEGANT WINDOWS AND DOORS INC. Opened in 2002, Elegant Windows & Doors prides itself in helping homeowners and contractors create cutting edge designs that maximize a home's potential. Call or visit them to see how they can help you with your next project. A fully-licensed and bonded dealer, they are experts in managing your project professionally. Proudly serving the entire Southern California area. ELEGANT WINDOWS AND DOORS INC. is rated 5.0 out of 5 by 18. Rated 5 out of 5 by Matosian from Great experience! I had a wonderful experience at Elegant windows and doors! I had 8 windows installed and 2 French doors and they gave me a great deal! I shopped around and found them to be the best deal out of everybody I talk to. So I give them two thumbs up and I highly recommend this company! Rated 5 out of 5 by Calecco from Highly Recommend!! I would highly recommend Elegant for all your door and window needs. They were very helpful from the get go. They came and met with my customers and presented the Tuscany windows. After that they came by a second time to measure all the windows and doors exactly. They did a great job communicating with me and making sure the order was perfect and without any mistakes. Thanks Arthur and the teem!!!! Rated 5 out of 5 by Eric10 from This Dealer had very good customer service. I contacted this dealer for windows for my home, they responded very prompt and gave me a free estimate . A representative names Edvin came and gave me a quote. They were professional and kept me up to date with the entire process of the transaction. I will recommend to others! Rated 5 out of 5 by Raffi from This Dealer Has The Most Knowledge AND Professionalism workers and unset .. I had several Milgard® products installed on my vacation home . I would like you to know the entire process, from the ordering of the product through the installation was a pleasant experience. Your people should be commended on their professionalism and the excellent quality of the work done.” Thank guys .. Rated 5 out of 5 by Tinik from very professional company Great service, great products, great prices. I needed to change 26 windows and a 4 sliding patio door for my house. Had seen their ad in the paper so I called them and also did some shopping around, but after visiting their store, the salesman was so informative and helpful in telling me about the various options, advantages and disadvantages, that I decided to go with them. They came over and measured everything, put in the order and like they said, the sliding door and windows would be ready in two weeks. They delivered everything and installed it in one day. What a difference the windows and the patio door have made.. not only the bedrooms are now quiet, but the heat/cool air doesn't escape from the cracks any more.